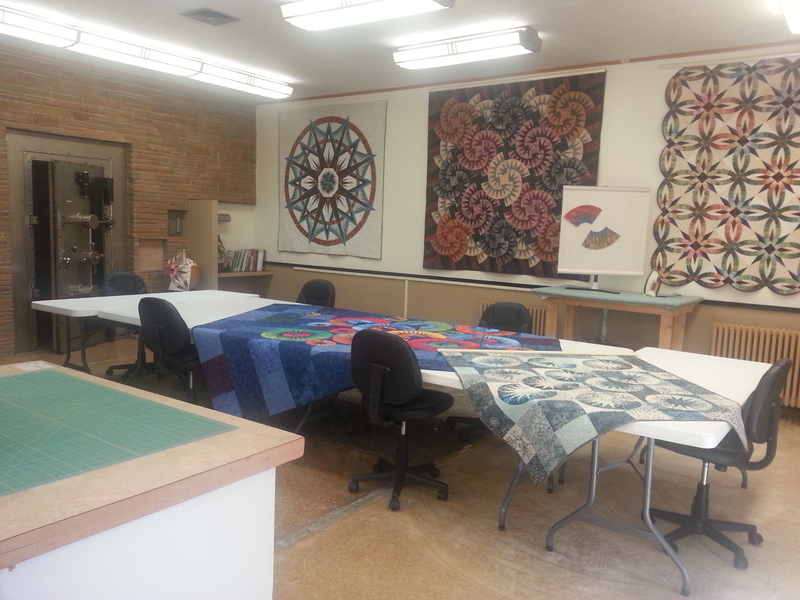 Canton Quilt Retreat offers a beautiful setting for your next quilting getaway. Canton Quilt Retreat, celebrating its 4th Anniversary July 2017, is owned and operated by Catherine Erickson. With a nudge from Eleanor Burns on PBS, Catherine has been active in the quilt arena for many years. She is a “retired” Certified Instructor for Judy Niemeyer Quilting (JNQ) and a bonafide quilting fanatic. The second floor sleeping quarters has four bedrooms with 13 single beds. 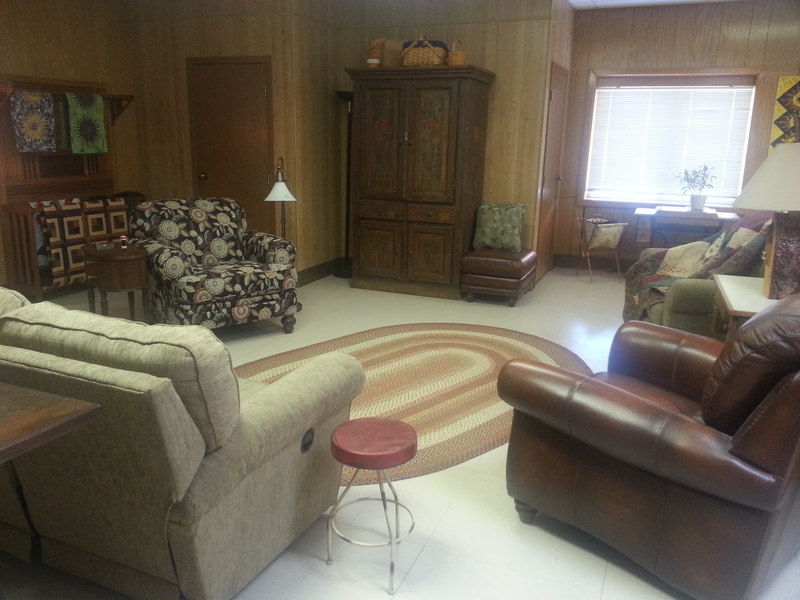 There is a powder room, plus a large bathroom with two showers, two commodes and three sinks. The first floor has one bedroom with a single bed and an adjustable full size bed. There is a lavatory and a private bath with shower and sink. Just pack your toiletries, we provide all the rest. In the 1400 sq. ft. work room, each guest has their own six foot table. Quilters love the design walls to lay out and try design options for their quilts–much easier than the living room floor! For hours of comfortable sewing/crafting, there are adjustable roller chairs, too. We have counter height cutting tables/mats and pressing stations. Outlets and power strips are plentiful and overhead fluorescent lighting is wonderful. A washer and dryer are available to our retreaters who prefer to pre-shrink fabric. The Retreat also has a full-service kitchen for preparing meals and snacks. The kitchen boasts all new appliances, including a refrigerator with an ice maker and filtered water and a dishwasher. Coffee is provided along with a variety of creamers. Sugar, flour, salt, pepper, mustard, ketchup, etc. are in the “pantry” along with a variety of bakeware and pots and pans. There are also several local cafes and restaurants within walking distance. Share a meal in the beautiful dining room or gather around the ten foot island for a cup of coffee. Cost: $65.15 ($71.00 with tax) per person per night. No minimums on week days.